With 263 rooms and located on the Costa del Sol, The Fuerte Marbella hotel offers you everything you need along with a very friendly service. The double rooms come with stunning sea views and all the modern amenities that you have come to expect on your travels. Air-conditioning, satellite television, wireless internet and a minibar await all those who make a booking at our resort. 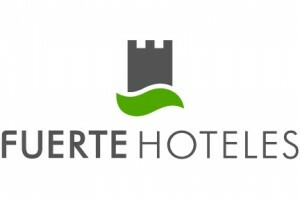 The Fuerte Group have an excellent reputation for their offerings and the Fuerte Marbella Hotel and the Fuerte Miramar are no different. These two excellently located hotels offer great quality and service and are both located in a great area of the fantastic destination of Marbella. Golfbreaks.ie send many customers to these great hotels and they always impress. As far as hotels in Marbella Spain go, they are one of the best, offering luxury beyond your wildest dreams. Onsite, you will find two swimming pools, a host of live entertainment and the child-oriented Forti Club. There are also plenty of restaurants where you can wine and dine in style. Finally, there are spa facilities and a sport club so that you can stay active and rejuvenate yourself, making the best out of your holiday in this sunny location. The hotel itself is situated right on the beach so that you can go take a dip whenever you feel like it. Those who prefer shopping and sightseeing can take a short five minute walk into town where they will find plenty of shops and other attractions on offer. When it comes to weekend breaks away in Marbella or Malaga, this unique seaside and urban location will give you the best of both worlds. If you wish to take a break, the hotel is also surrounded by 4,000 square metres of lush gardens in which you can take a stroll and unwind. This is perfect for short holiday breaks with the family. They also cater to golfers as the hotel is a short distance from some of the best courses in the region. An oasis in the city: a beachfront hotel in Marbella, located near the historic quarter.